As of October 15th, Marina hours are 6:00am to 6:00pm. 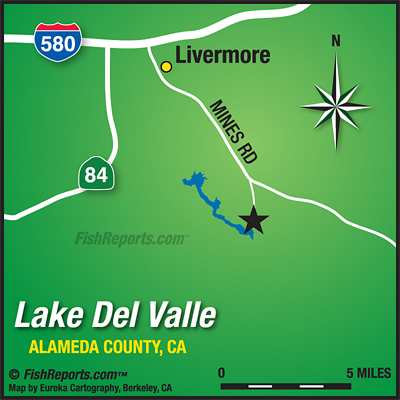 It seems fellow Anglers Trout fishing has indeed arrived here at the lake from the east end swim beach throughout the narrows on into the dam area have been yielding in great catches. As the water continues to cool, I can only see the Trout fishing getting better and what a great start we have as of today. The water temperature reamins in around the mid 60's but it's dropping fast with the clarity fairly good. If you plan on boating, early is best. We have also seen a surge in catfish using chicken liver, anchovies, sardines, nightcrawlers and G&S dip bait with J&N Dip Worm. Crappie fishing has been just as good we have had numerious. Anglers catching large amounts on Power Bait White, Chroma-Glow and Chartreuse Crappie Nibblets. We have had some mall mouth bass and large mouth bass caught on Rage Crew, Sinco and Rubber worms. Striped Bass fishing has slowed down a little but still active. Chris and Juan caught a 2 lb. and 3 lb. trout at the East beach on power bait last 10/10/10. Matt Nola of San Jose caught his limit of 5 trout. His stringer weight was 11 lbs. 5 oz. with the largest trout weighing in at 4 lbs. 12 oz. All his trout were caughtat the East Beach with power bait on 10/13/10 and again on 10/15/10. Matt again matched his previous luck of 5 trout with the stringer weight of 9 lbs. 4 oz., the largest weighing 2 lbs. 9 oz. all caught using power bait at the East Beach. Daryl Hill and friend Jeremy of San Jose each caught their limit of trout. The stringer weighed in at 9 lbs. 4 oz., the largest weighing 3 lbs. 6 oz. All their trout were caught at the East Beach using power bait on 10/15/10. David and Gary of San Jose caught 4 trouts with the largest weighing 6 lbs. 14 oz. with a Kastmaster at the dam on 10/19/10. Sean Hashimoto of San Jose caught 2 trout 3 lbs. each using power bait near the dam on 10/21/10. Jerry Hashimoto of San Jose caught 4 trout. The weight of his stringer was 11 lbs. The largest trout weighed 5 lbs. 6 oz. using Kastmasters and Power Worm bait. All his fish caught at or near the dam on 10/21/10. Matt Molan of San Jose caught his limit of 5 trout with the stringer weighing 12 lbs. 4 oz.. The largest Trout 7 lbs. 3 oz. all caught at the East Beach using Power Worms and Eggs on 10/21/10. Brian Gravenstine of San Jose caught 2 trout, the largest weighed 2 lbs. 2 oz. using a Kastmaster on the East Beach on 1023/10. David Gallela of Tracy caught a 11 lbs. 5 oz. striped bass using nightcrawlers on the left side of the Marina on 10/14/10. Danielle Grimes of Livermore caught a 3 lb. large mouth bass in the Lower Narrows on 10/15/10. Nicholas Bassett of Hayward caught a 2 lbs. 6 oz. Large Mouth Bass using a Roge Crowl on the other side of the Marina on 10/16/10. Rene Rivera Jr. of Tracy caught a 9 lb. 4 oz. Catfish using chicken liver at the dam on 10/11/10. Dave Young of Liivermore caught a 6 lb. 10 oz. Catfish in the Narrows using a Rupala CD on 10/17/10. Mike Rockham of Livermore caught a 7 lb. 4 oz. Catfish in Heron Bay using sardines on 10/18/10. Jeff Starbak of Livermore caught a 7 lb. catfish at the dam using nightcrawlers on 10/20/10. Jeff Sarback of Livermore caught 7 crappies, the largest weighed in at 3 lbs. All were caught on White Jigs across from the Marina 10/18/10. Dumong's mackerel in Sierra Cove. Total weight: 51 pounds.